Application: Handrail staircase of the apartment, balcony or deck and so on. We are offering Patch Fitting to our client. 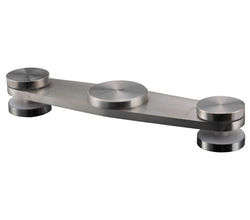 Offering wide range of Glass Fittings bracket. -For Entire Range See Attached File. CLOSMA has been incorporated with new innovations like Clip on technology that insures no more jamming of covers & adds to the aesthetic appeal with its hidden spring loaded pins. Some Special Features #1. High strength die casting alloy, safe & durable. #2. Special anti-oxidant shim. #3. Decoration shell is made of precisely stainless steel plate (SS-: #4. Clip on technology. Loking System for Glass Door Made from Stainless Steel 304. 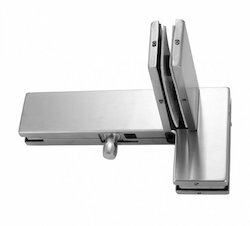 In order to cater to the numerous necessities of the patrons, we have been able to provide a wide range of Glass Door Lock Patch Fitting. We are a unique name in the industry, devoted towards manufacturing the best quality range of Glass Door Patch Fitting. Fostered with a team of dexterous professionals, we have been able to offer Patch Fittings for our valuable clients. - Used in between the segment toughened glasses to act as a cushion between the glass panels. • Patch for fixing maximum of four glass panels together.